Do you need help with your business, home or car locks? It seems as if it’s only a matter of time before we lose our keys or lock ourselves out of somewhere. Need a truly local service to open, repair, or replace door locks? Unless you want to cause damage to your home, or accidentally hurt yourself in the process, it helps to have a local locksmith Racine service provider that you can trust. Welcome to BCS Locksmiths, your convenient and affordable locksmith in Racine. We offer complete locksmith solutions for any locked door that you may have. We also provide extended service hours including evenings and weekends since emergencies don't keep regular business hours. Call Brian at​ 262-498-5345 or Chris at 262-412-0462 for fast and convenient after hours services. Here we strive to give you the best service possible, as quickly as possible, no matter your exact situation. Whether someone tried breaking in, you lost your spare key, or you can’t get into your vehicle, we are here for you. Why should you pay for unlocking doors based on the property zoning or automotive make? Instead, we strive to save more Racine, WI residents more on all their locksmith services every single day. ​Although changing out door locks isn’t precisely dangerous work, what we do see after hours is cause for alarm. Whether your situation is a frightening one, or you’ve just lost your keys late at night, you never have to worry when you can call us. We believe that all security problems are nearly always an emergency. And we know that, as a homeowner, nothing makes your stomach sink like knowing someone has tried or succeed in breaking into your home. The good news is that there is nothing to continue fretting about, especially in regard to getting your home in order. Luckily for you, lost, broken, or stolen keys can get replaced, and damaged doors and windows can get repaired. Even if you don’t feel safe, we can ensure that we have your door locks changed or re-keyed and we can also assess your home security and make suggestions to prevent house invasions from happening again. Not all situations can wait until the next morning, so don't hesitate to call. The longer you feel vulnerable, the harder it is to feel safe again. We keep flexible hours because we understand that it takes more to rebuild your lost feeling of security when trouble comes to your door. Contact us for all emergencies that you may have, and we can help you faster than anyone else. And more emergency locksmith solutions. We have worked with most major brands and stock parts for the most common issues with most of the hardware in use today, including electronic devices. Whatever systems you need service for, we are here to help you all day, every day. Contact us at BCS Locksmith for comprehensive commercial locksmith services. We do more for less each day, helping you stay on budget. After a long day of work, you go to enter your home, and you realize that you left your house key on your desk. Or perhaps you don’t even know where your keys currently are hiding. No matter which type of lock and key combination your entryway uses, you need a residential locksmith for house to help you out. 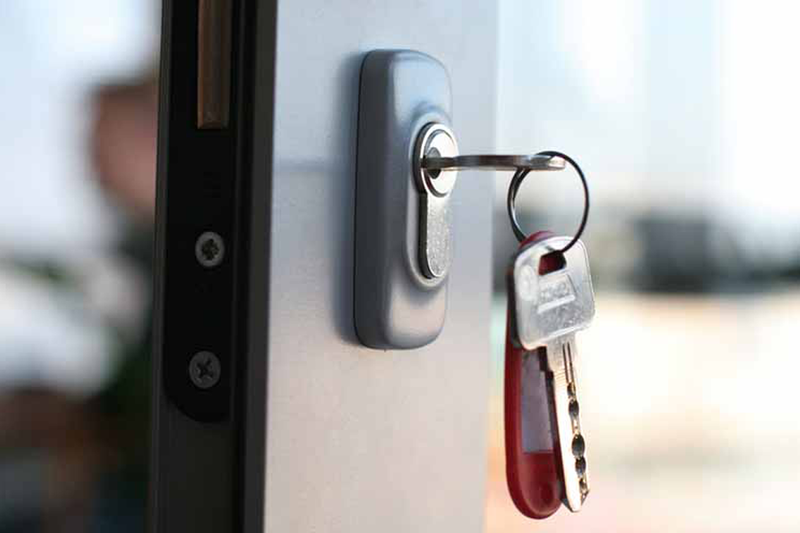 Whether you require us to re-key locks or for key replacement, we can assist you with your house locksmith needs every time. Most keys such as Schlage, Kwikset, and Yale are in stock. We are more than just a typical lockout locksmith; we carry blanks for many other lock brands like Baldwin, Dexter, and Weiser, including many vintage keys. We keep a few basic residential locks and lock parts on the truck for when the several well-stocked home centers nearby are closed. And although we’re likely the nearest locksmith for your home services, we also want to ensure that you have more ways to save. If you are handy, feel free to bring me your locks for re-keying to save yourself the service call fee and maybe more. Contact us for your the best locksmith for all your residential service needs. No matter what you need to keep safe, lock and keys are never an issue for us. BCS Locksmiths has provided automotive locksmith services and may continue to do so in some situations. However, we are not currently enrolled in the SDRM VIN code program. Keeping current with the continuing advancements in vehicle security systems has not proven sustainable for us so we have been investing in commercial equipment and supplies instead. We also reserve the right to require proof of vehicle ownership and proof of payment should we consider any automotive service calls. We do expect to be investing in milled key cutting and cloning to provide additional duplication services soon. We carry a few ignition and door lock cylinders in stock for early domestic named vehicles and then only for non-emergency and drop off services. Although we strive to offer complete emergency locksmith solutions, we currently are unable to service vehicles other than recreational models. Our team has in the past provided automotive locksmith services and may continue to do so in some situations, but we currently are not enrolled in the SDRM VIN code program. While we won’t have the necessary equipment to rekey a vehicle door lock, we may still provide you with vehicle lockout services. Our primary area of focus, however, is recreational vehicle services. We continue to stock supplies to generate keys for many motorhomes and RV trailer locks, and we also provide other select RV services. And with automotive milled key cutting, we can give even more solutions. And access control component servicing. We are the experienced team that you can trust to handle any recreational vehicle type you have or equipment that requires a helping hand. Whether you operate a classic car or have a substantial piece of farming equipment, we are available for your job every day. Don’t allow dealerships and mechanics shops to bill you a fortune for locksmith services. Instead, choose the convenient and affordable choice now for faster service and affordable pricing. Why should you remain forced to wait until someone can finally schedule your job? When you have locks that are preventing you from your day, you can’t sit another minute. Instead, we provide the best in services to ensure that everyone can get where they need to go. When you keep us on your side, we make changing locks and opening doors a breeze. Contact us today for prompt and affordable locksmithing solutions. We guarantee only the best in total expert services. Automotive milled key cutting, transponder key cloning, SFIC lock servicing, and access control component servicing.